Handbrake remains a rocking DVD ripper, for not only its open-source pedigree, but also intuitive interface, awesome conversion presets and great picture quality. But for some bizarre reasons, users will probably question: is Handbrake safe? Given the good deal of inquires from "Is Handbrake secure to download" to "is it legal to use Handbrake rip DVD" to "Is Handbrake a virus free program", we've listed 6 things about Handbrake with the aim to let you get thorough understanding about Handbrake to rip DVD safely. 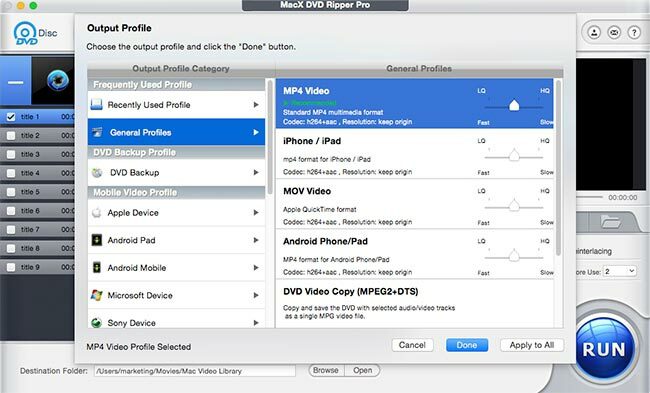 MacX DVD Ripper Pro - Decrypt and rip copy-protected DVDs to MP4, WMV, MPEG, MOV, FLV, MP3, iPhone, iPod, Apple TV, Samsung, HTC, PSP without encountering any ripping problems. Generally, there can be two factors that are talked about most regarding whether Handbrake is free of danger or not. Follow the detailed info and free download Handbrake 1.0.7 safely to do your DVD ripping needs on PC/Mac with no worries about malicious virus intruding your computer. 1. Is Handbrake Free of Virus? Is the DVD ripper and converter Handbrake safe (and not spammy or virusy)? Also, can it be uninstalled by just using an uninstaller included in the program? Handbrake 1.0.7 is a well-known program offering awesome new DVD movies ripping/video converting, therefore, it is safe for both PC and Mac. However, things go reversed if you download Handbrake improperly, especially in terms of the download file. For instance, the Handbrake.exe, produced for Windows, is commonly bound to virus/malware infection, because of the usefulness and ubiquity. Such file is distributed through spam email or malicious websites. Additionally, virus can infect or even corrupt the existing file, leading to error message when Handbrake is executed. Typical phenomena are Handbrake not found, Handbrake failed, Handbrake is not a valid application, etc. So for an unharmful Handbrake use, it is advised to scan for virus before opening - even if you free download Handbrake from a reputable source. For a secure Handbrake for Mac download, please go to its official site or free download handbrake 1.0.7 safely from reputable software download sites like CNET, Softonic, Softpedia, Macupdate, etc. 2. Is Handbrake Safe to Rip DVD with No Legal Issue? Is Handbrake legal? It's for ripping a DVD into an MPEG4 file. While people are asking whether Handbrake is a virus-free program, the legality when using Handbrake to rip copy protected DVD is tossed on the waves. To be frank, Handbrake is legal itself. 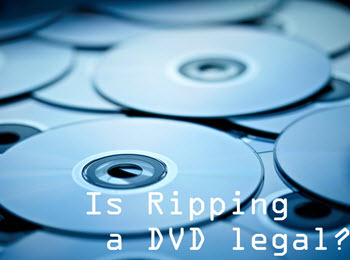 The legality issue relies on how you use the DVD you ripped by Handbrake or whether your DVD is of your own or not. It will be OK if you only rip DVD for personal use. But for commercial use, Handbrake is unsafe to use especially when the DVD you rip is under copy protection. I have just installed Handbrake 1.0.7 at the suggestion of one of my friend. But when I use it to rip DVDs, it didn't work. I tried redownloading it, still, Handbrake not working. Has anyone suffered a same problem or are there any possible solutions for it? There are many Handbrake errors when you rip DVD or convert video. Here we've gathered all the most common issues with Handbrake. 1. handbrake convert mp4 to avi: The MP4 to AVI conversion is also accessible in Handbrake older version like V0.9.2. But for the latest handbrake 1.0.7, it fails to work. 2. handbrake audio sync error: Handbrake usually output audio lagging several seconds behind video due to the decoder, intensive use of CPU or the use of Xvix. 3. Handbrake cannot convert MKV: Handbrake crashes when converting MKV, typically featuring the a/v sync and no valid source found messages in Handbrake. 4. Handbrake error reading: DVD copy protection is responsible for the Handbrake error reading in DVD ripping process as a purpose of protection against piracy. 5. Handbrake no title found: Handbrake is helpful to rip homemade DVD. But for encrypted DVD, Handbrake stopped working and you'll need a DVD decrypter for help. 6. Handbrake no valid source found：This Handbrake error is caused by the inserted DVD disc with some physical scratches or damages and the improper installation of VLC player. 7. Handbrake won't rip DVD: Best solutions to Handbrake can't rip DVD movies with copy protections, Handbrake won't rip whole movie DVD, other errors on Mac/Win. Programs similar to Handbrake are MacTheRipper, RipIt, MakeMKV and more. Just like Handbrake, these software appears less secure, crashes in some way due to the copyright protection, fails to be compatible with the latest mobiles and OS and is even bound with spyware. What I would recommend to you is MacX DVD Ripper Pro, a 100% secure handbrake alternative for Mac (10.12) and Windows (10) that can make a backup of DVD with no hassle. With advanced DVD analysis scheme, this DVD decrypter is able to rip DVDs of any copy protection, like CSS, Region Code, Sony ARccOS, Disney X-project protection and more. It can rip DVD to MP4, MOV, AVI, WMV, MKV, MPEG4, H264, etc with high quality and directly convert DVD to iPhone 7, iPad Air 2, Samsung Galaxy S7, HTC One M9, PS4, WP8 and more with 36x faster speed. Please bear in mind, the software developer only advocates DVD ripping for fair use. Below we'll show you how to use handbrake alternative safely. 1Free download and launch the best alternative to Handbrake and load DVD optical disc. Alternatively, you are able to import DVD Video-TS folder or ISO image file. This replacement to Handbrake is safe to download and it will automatically scan the title and choose the right one for your DVD before ripping. 2 Select the output format as you want. MacX DVD Ripper Pro outputs more than Handbrake does. It is infused with 300+ output profiles for Apple, Android, Windows Phones, Game consoles as well as other mainstream formats like MP4, AVI, MKV, WMV, MOV, M4V and more. 3 Click the "Browse" button to choose the path where you want to save the copied or ripped DVD movie. 4 After finishing the above steps, simply click the "RUN" button to start ripping DVD with Handbrake alternative. To play the converted DVD contents on mobile devices, you are suggested to take advantage of MacX MediaTrans to transfer videos from computer to iPhone iPad iPod for playback without any limits. What's more, this feature-rich iPhone transfer also provides you the simplest solution to manage files on iDevices like music, photos, eBooks, ringtones and more. This guide introduces 5 methods on how to transfer videos from iPhone to Mac (El Capitan and macOS Sierra), helping you import videos from iPhone (7/6SE/6S) to MacOS Sierra-based MacBook, iMac, etc. MacX DVD Ripper Pro is the best Handbrake alternative which can freely rip and convert any new copy-protected DVDs to various video formats (MP4, MOV, MKV, AVI, etc) and portable devices with original quality.